Wildlife photographer Chris Weston goes into more depth about cameras than most other digital photo books I've reviewed. He goes into great detail explaining how the digital camera works and how to maximize what it can do. He talks about the many features (white balance, digital noise, exposure, equipment, and more) and how you can correct photos - see the amazing increase in clarity on page 65 after using the histogram to roughly gauge the under- or overexposure. There are also valuable instructions on using your computer and processing your work. There seems to be an awful lot of stuff to know (imperative if you want to become a professional photographer) which to me, is overwhelming. Weston has a wide selection of wildlife subjects, and has a keen eye, which makes viewing his work a pleasure. I struggle terribly trying to get my mind around such technical information. I think that's why I'm so happy being stuck on Auto. 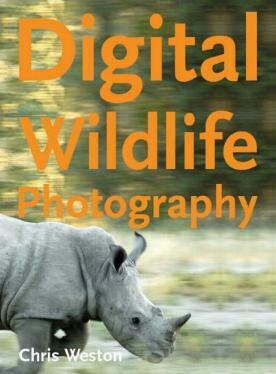 Conclusion - If you are branching out to digital SLRs, this book is probably all you'll need. Very informative and some spectacular photos.